D&A Media offer Print Solutions, the reliable answer for economical and secure printing. D&A offer a reliable answer for economical and secure printing. We help reduce printing costs by 60% whilst protecting valuable data and increasing office printing efficiency. Did you know that unclaimed prints left at the printer can make up 30% of all prints? This waster is minimised, saving you money. We implement and enforce company print policies for individual users, departments or for the whole company. In order to protect your valuable data, we make sure important documents are not printed off until you are at the printer. By gaining a better view on how you spend, we can save on your costs with better visibility on use by machine, department or users. This is in line with the new GDPR regulations that come into force of May 2018. This technology provides a full audit trail for compliance with new rules. 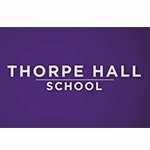 Watch the video to see how Thorpe Hall School feels they have benefited from the advice and guidance provided by D&A when purchasing Printers and Copiers over the last 10 years.